Chores, lists and errands are put aside. Dinner is either out or brought in. It is the start of the week end. 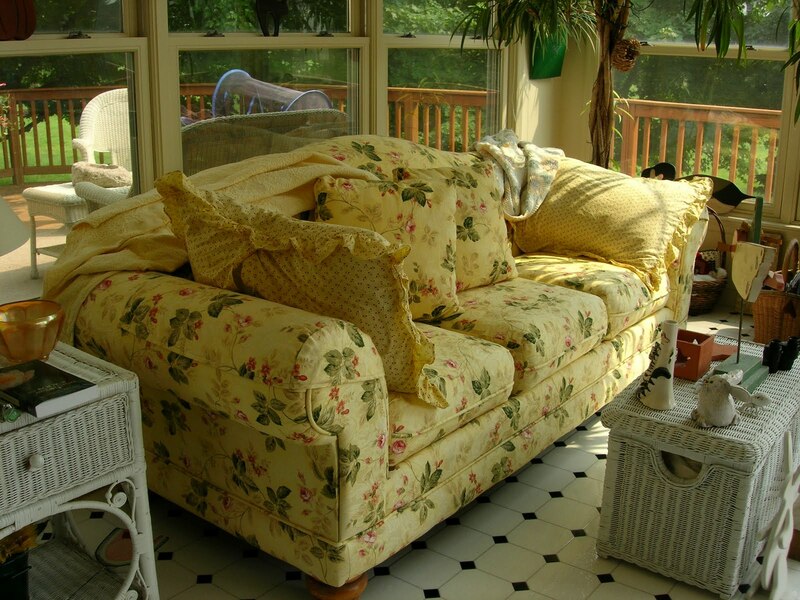 I put myself on my fave yellow flowered sofa in the sunroom and I read and sip iced tea and read the afternoon away. 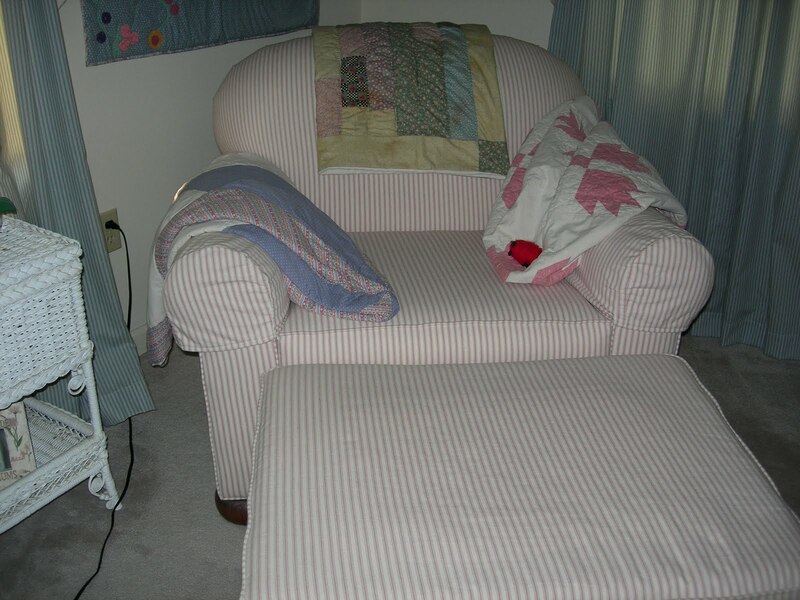 ﻿I might toss myself onto this super comfy chair in our bedroom and read the afternoon away. I might lounge on this antique day bed and read the afternoon away. 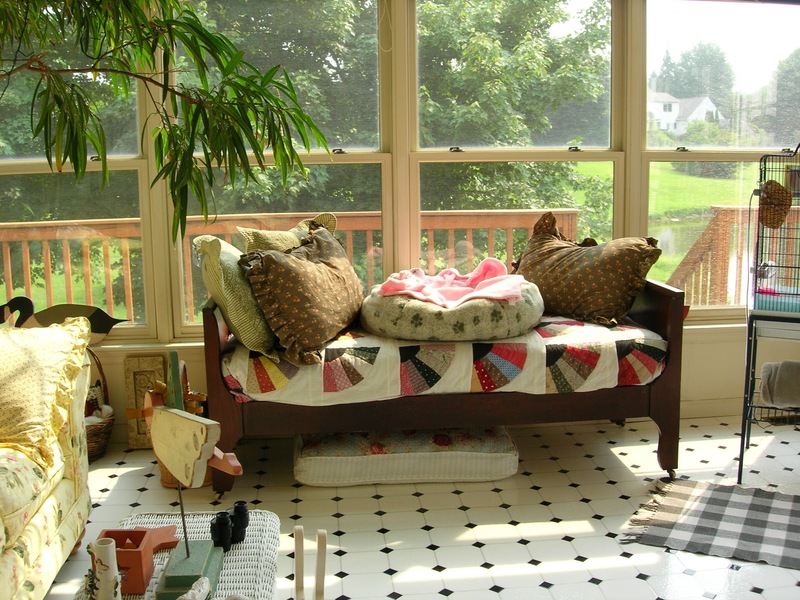 I might curl up on the wicker chaise and read my afternoon away. Are you reading your afternoon away? I am totally engrossed in the book In Search Of The Rose Notes…I love meandering life changing mysterious books and this one…so far…is perfection. It is a delicious slow reading experience. Everyday is Friday for you. I absolutely love your decor…so shabby chic. That is all. I totally want to move into your house! And you need to do the this fill in four friday !!! I did read my afternoon away! How lucky you are to have so many great spots to read the afternoon away. I read quite a bit today, but I did it from an uncomfortable office chair. I'm not complaining – I'm getting paid to read and occasionally answer the phone. Love, love, love the yellow couch! You have so many wonderful places to read. One my fave places has been taken over by our puppy so that leaves me with two. I'm thinking I need more. How did I miss this comfy cozy lounging post? 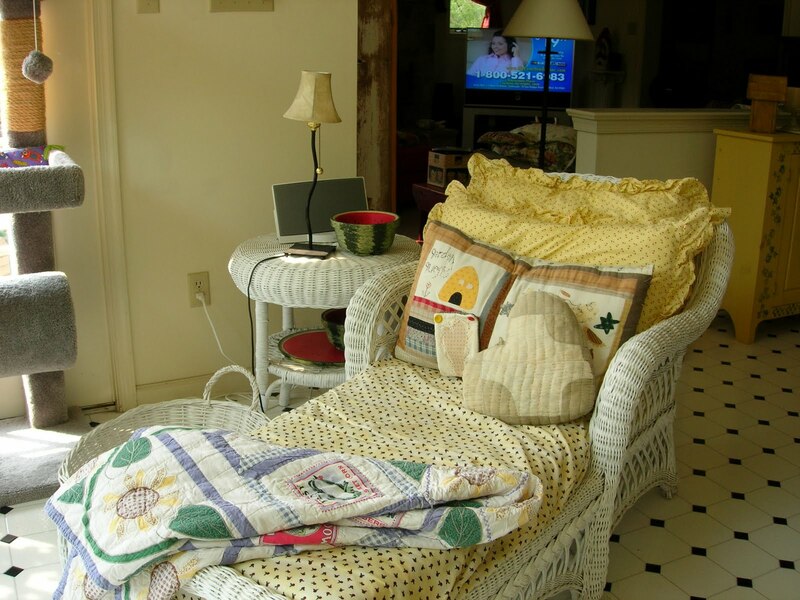 Love all your lounging areas, love the bright sunny colored sofa, and the wicker chair…actually, I love them all, Patty. With comfy lounger like this, I would be reading all the time, and loving it!